This year marks the 10th anniversary of the Venetian Macao, built on the then-unwanted landfill between Macau’s outer islands of Coloane and Taipa. Las Vegas Sands won a Macau license on the promise of building a Las Vegas Strip scale resort, but there wasn’t any place large enough to put that resort on the Macau Peninsula. So Mr Adelson drove his covered wagons over the Governor Nobre de Carvalho Bridge and across Taipa, blazing the trail to Cotai, where Venetian Macao took shape. 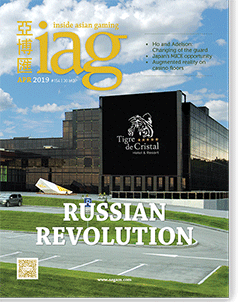 At 980,000 square meters (10.5 million square feet), it was the first IR to incorporate a full-size arena into the mix of retail, convention, theater and hotel, all alongside the world’s largest casino, with 800 tables and 3,400 machines when it opened. The decision to build a medieval Venice themed resort in a market with genuine 16th century European landmarks may lie at the confluence of ignorance, arrogance and stubborn habit, but Venetian Macao remains the city’s leading modern tourist attraction and a huge money spinner. 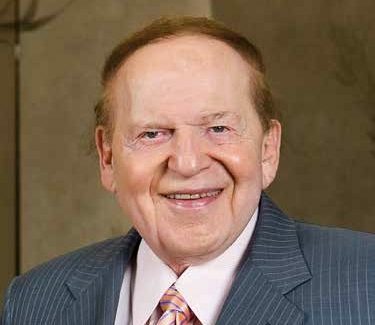 Adelson’s Las Vegas rivals didn’t believe in Cotai, with only only Lawrence Ho taking up the government’s initial offer of land there. Galaxy got its plot as part of the divorce settlement with LVS that added three subconcessions to the original three gaming concessions. As a result, Team Adelson scored Cotai’s prime real estate, including sites for Sands Cotai Central – to be remade as the Londoner – and the Parisian, plus St Regis and Four Seasons, giving LVS subsidiary Sands China more rooms in Cotai than all its gaming competitors combined. That advantage will hold, even after MGM Cotai opens on 29 January 2018. Sands China’s inventory of rooms, plus amenities from singing gondoliers to 800 retail outlets to a half-size Eiffel Tower that’s way cooler than it may sound, have positioned Sands China to lead Macau toward its mandated future as a tourism and leisure hub. For Sands China that means even more highly profitable mass market gaming and non-gaming revenue. Whether laughing or cajoling, he’s right in the middle of Asia’s gaming conversation. To return to the full list of 2017 Asian Gaming Power 50 winners, click here. The inaugural Asian Gaming Power 50 Gala Dinner saw a who’s who of Asia’s gaming industry come together at Macau’s Studio City to celebrate those who made a difference in 2018.